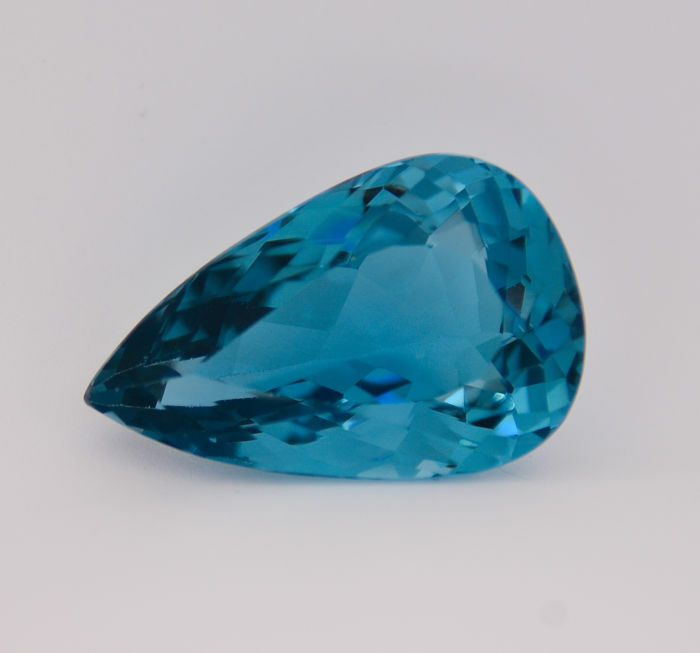 Measurements: 28.50 x 18.19 x 12.46 mm. 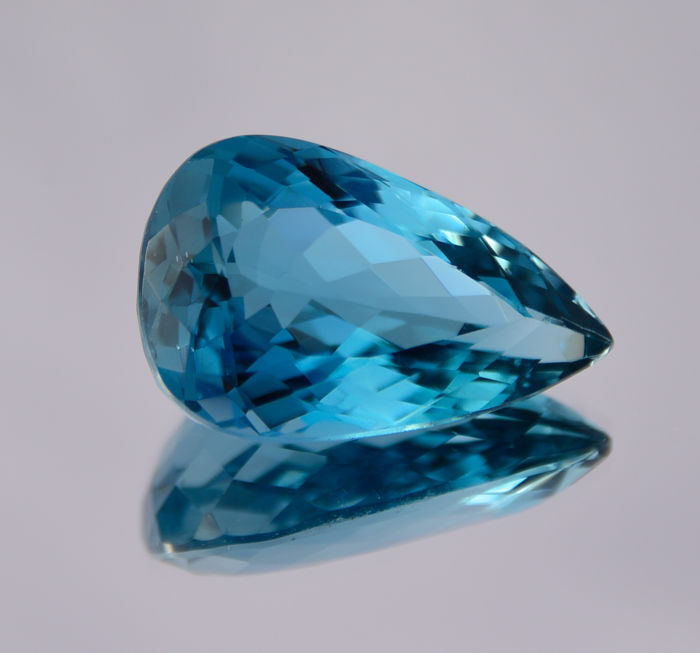 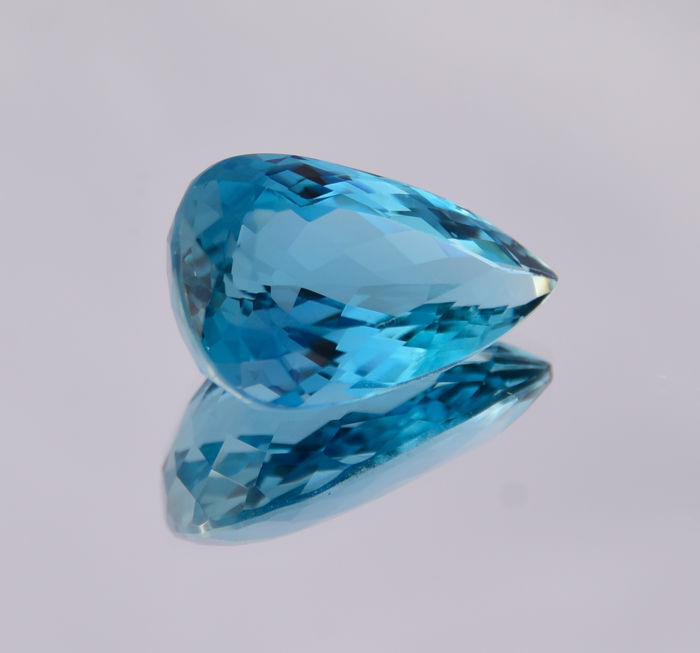 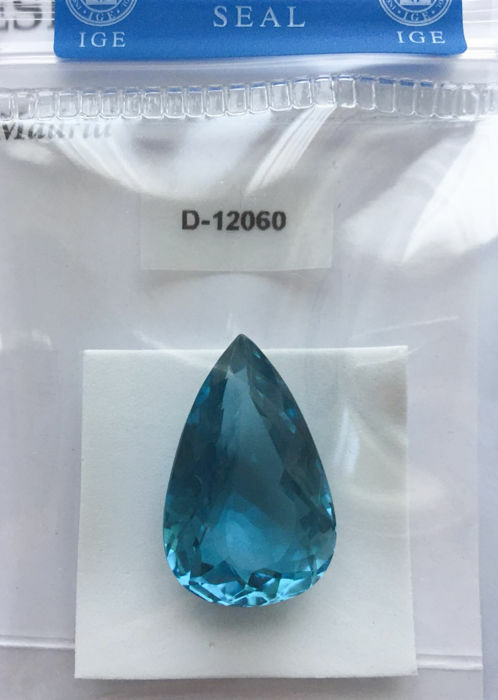 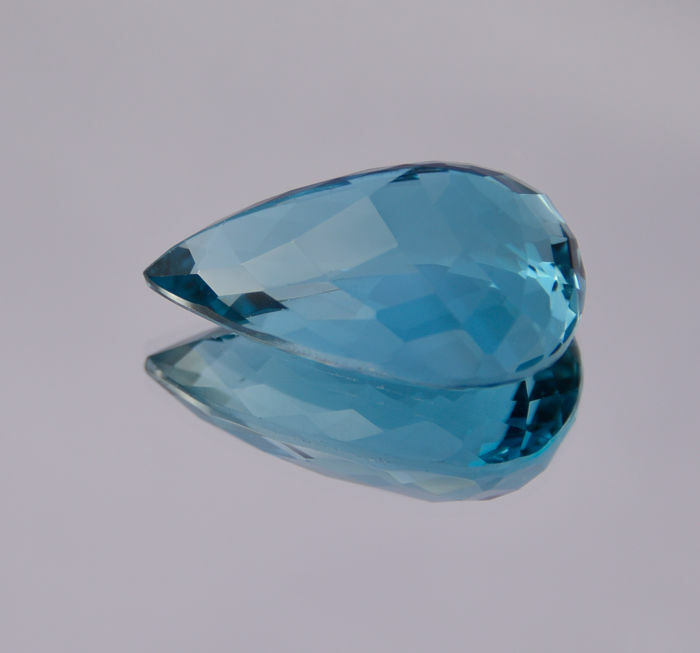 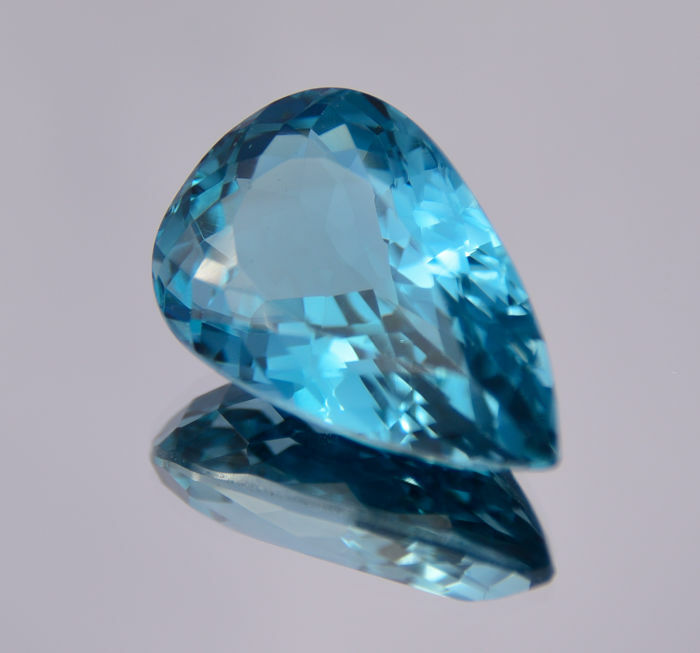 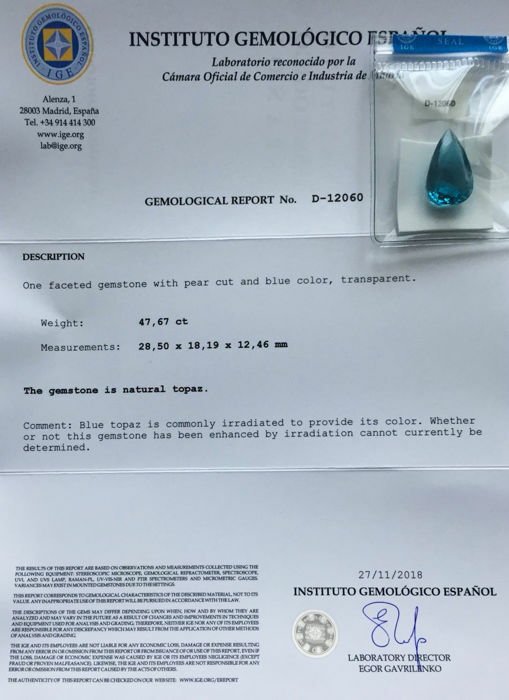 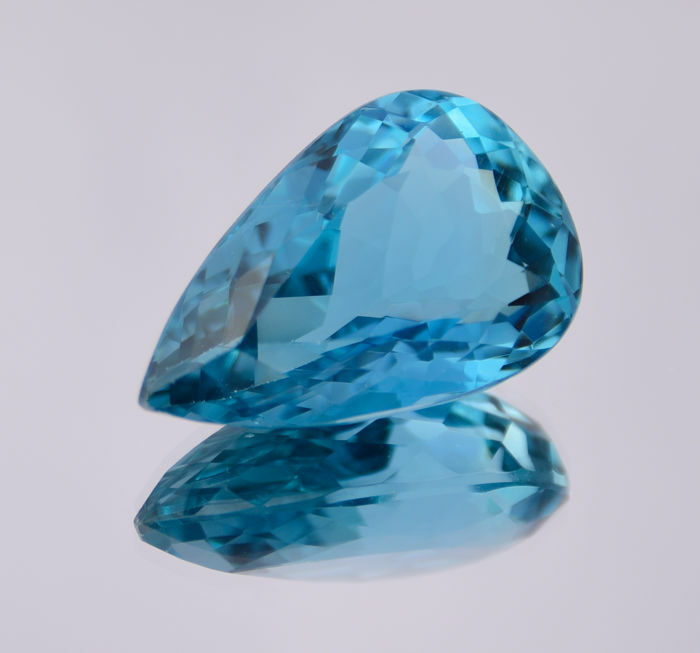 Notes: Blue topaz is commonly irradiated to create this colour. 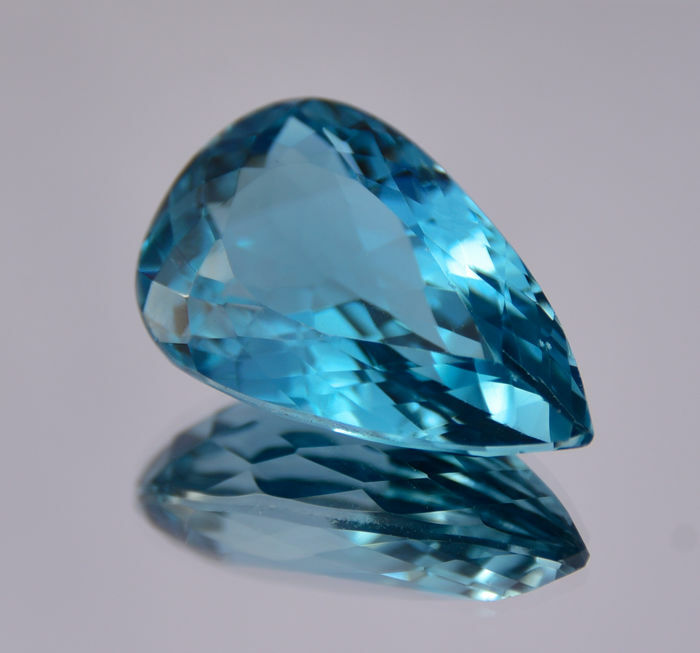 It cannot be determined whether irradiation has improved this precious stone.